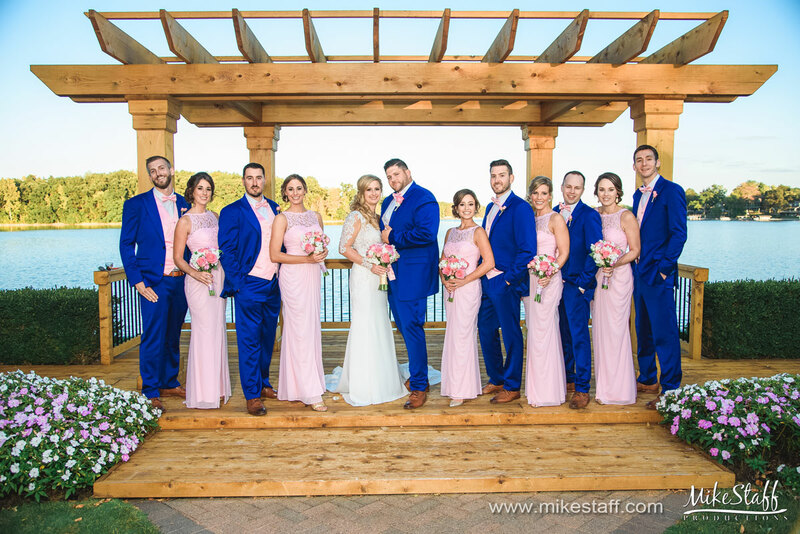 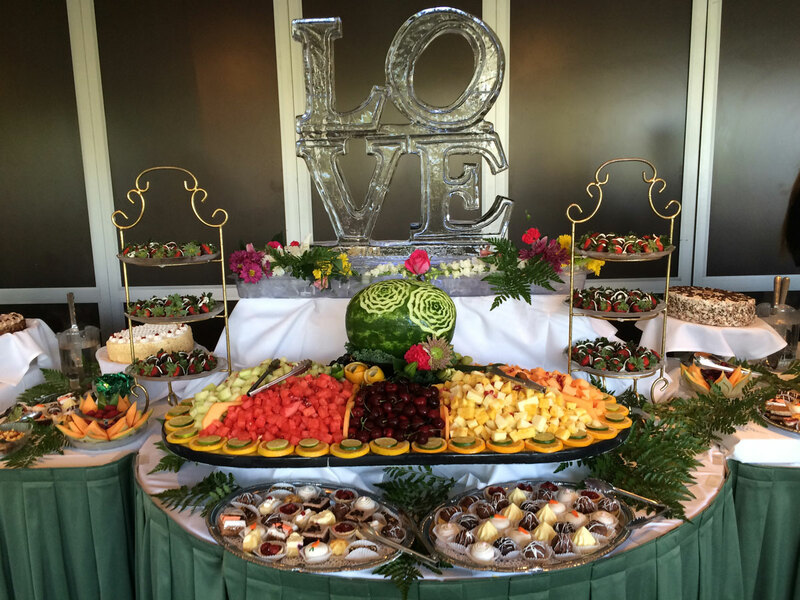 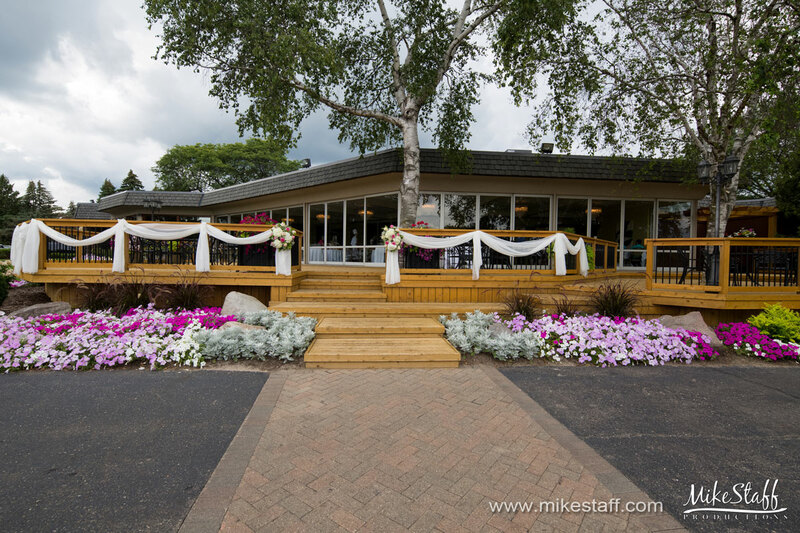 If you are looking for details about Michigan Golf Course Weddings at Glen Oaks Country Club, please call (248) 693-8305 or e-mail salesao@oakmanagement.com for more information. 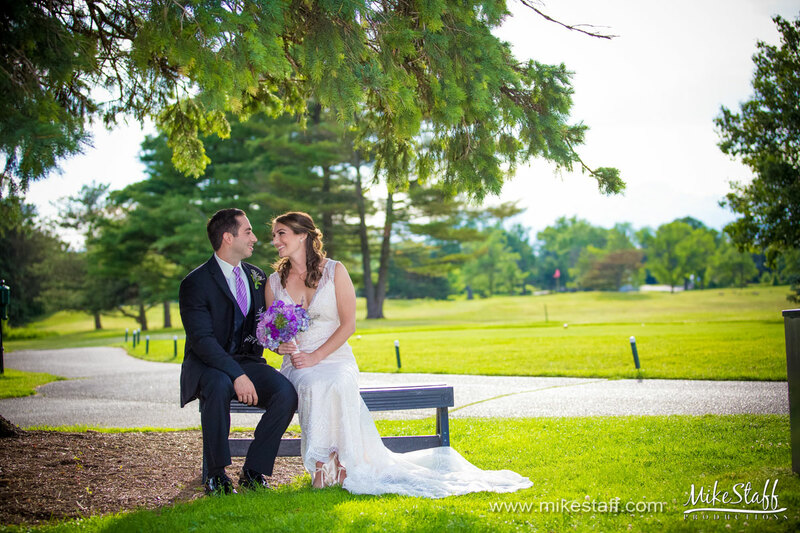 Click here to learn more about our Michigan Golf Course Weddings at Glen Oaks Country Club or Follow Us on Facebook. 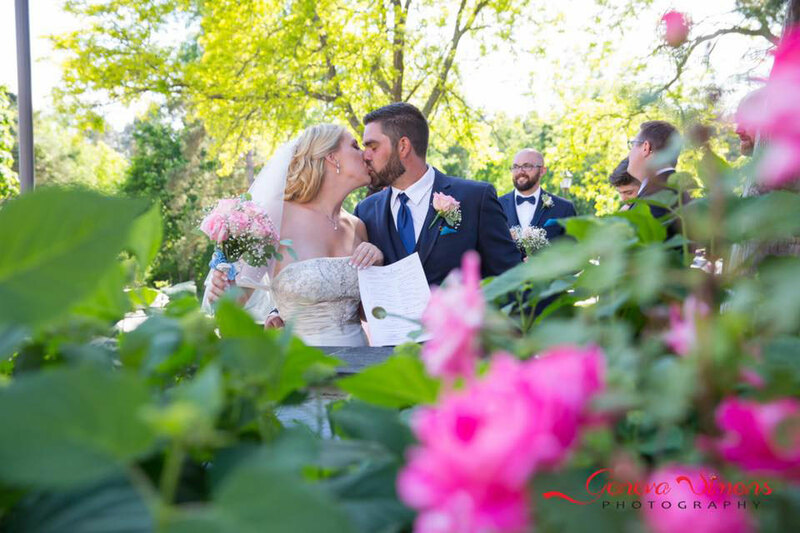 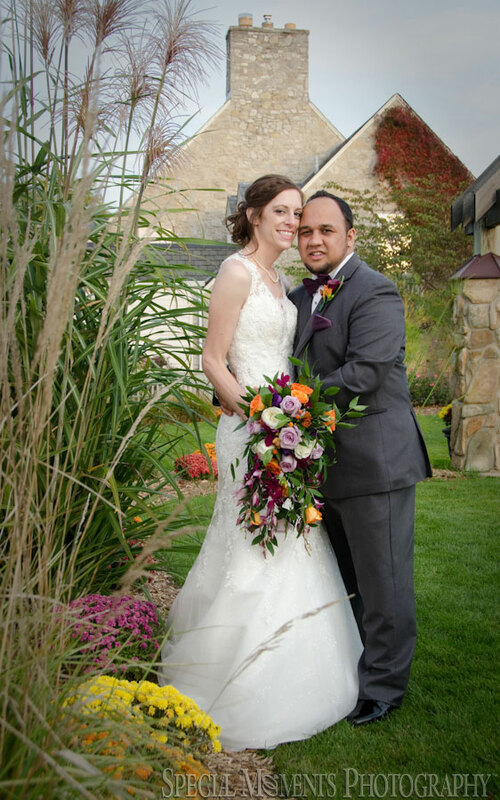 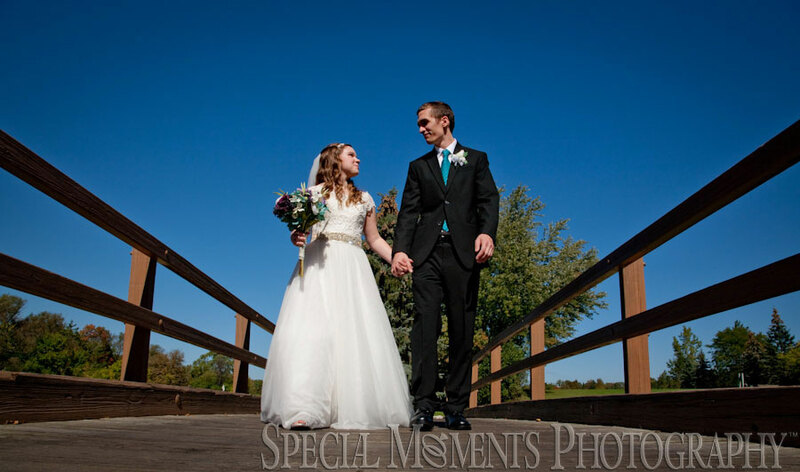 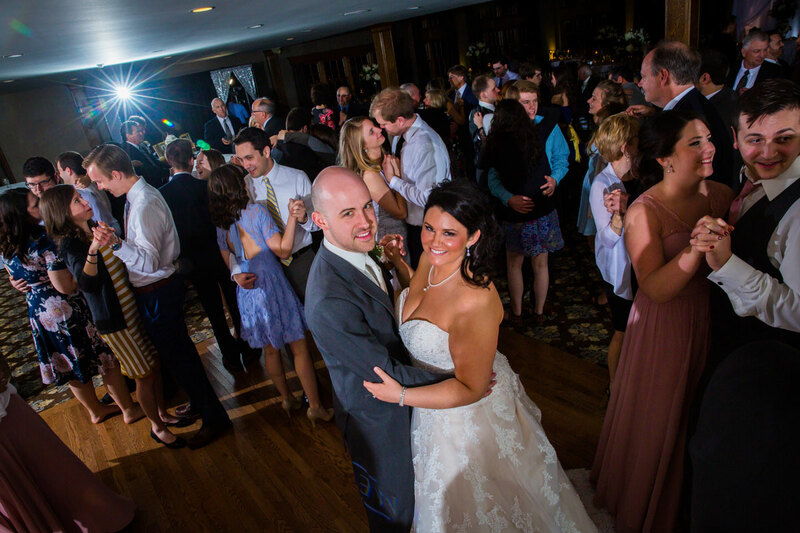 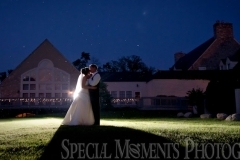 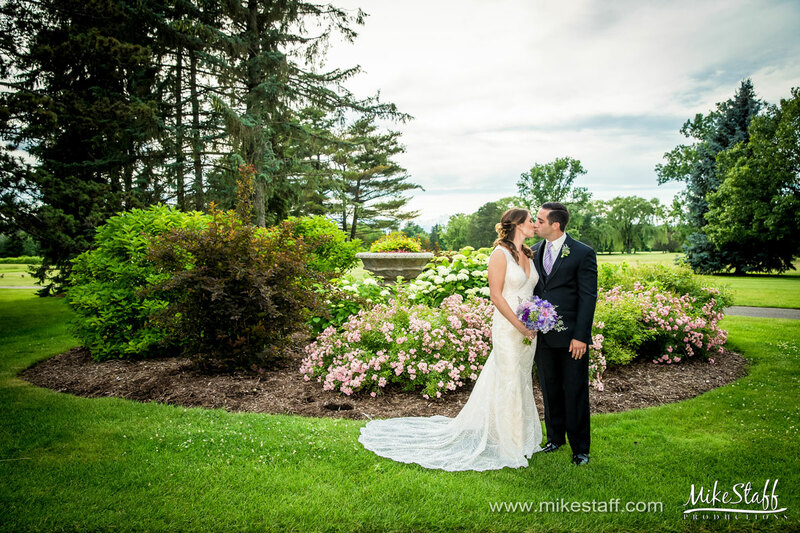 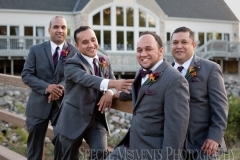 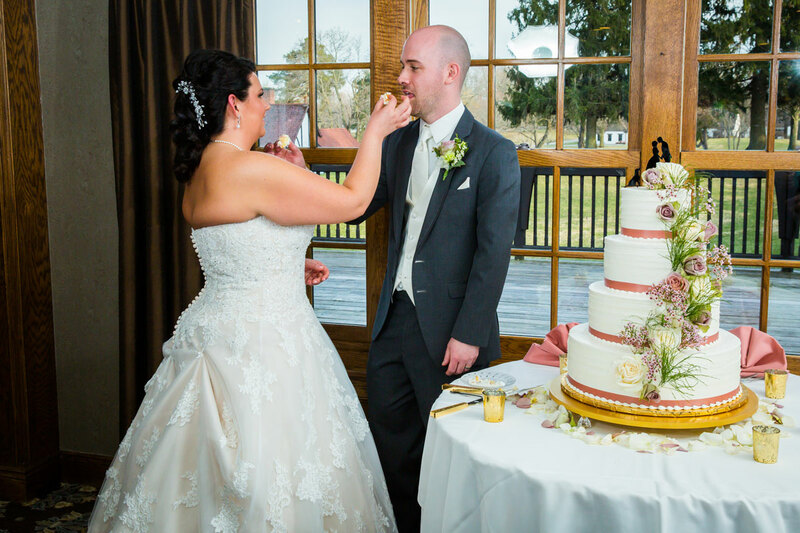 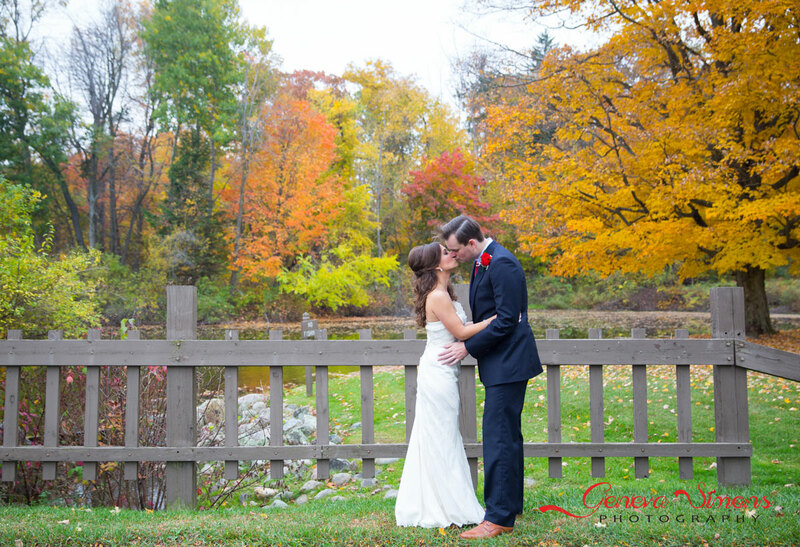 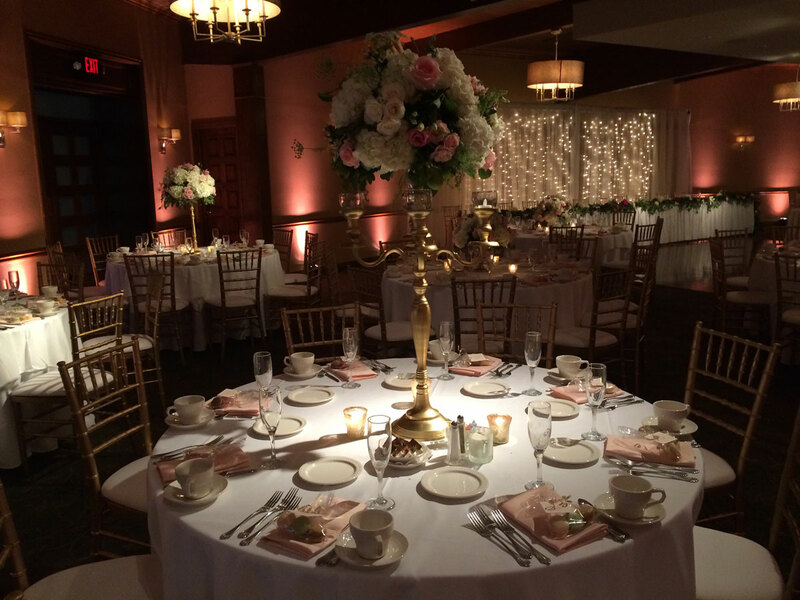 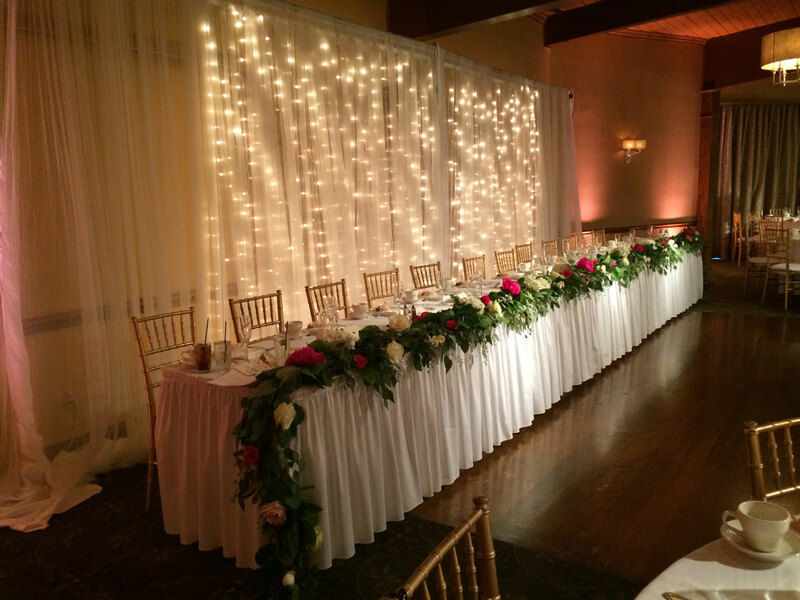 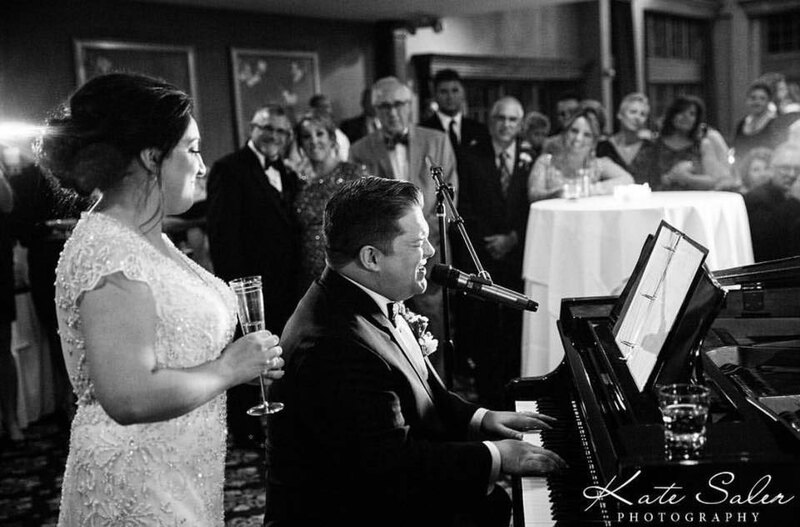 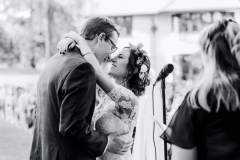 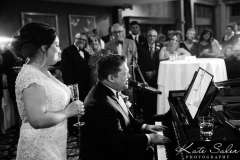 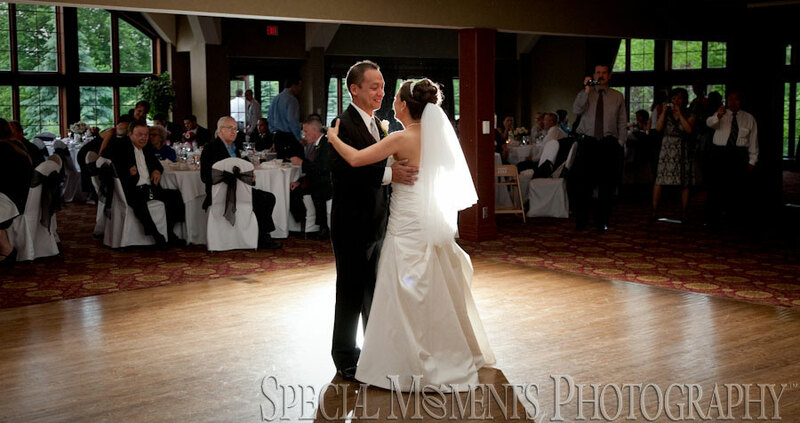 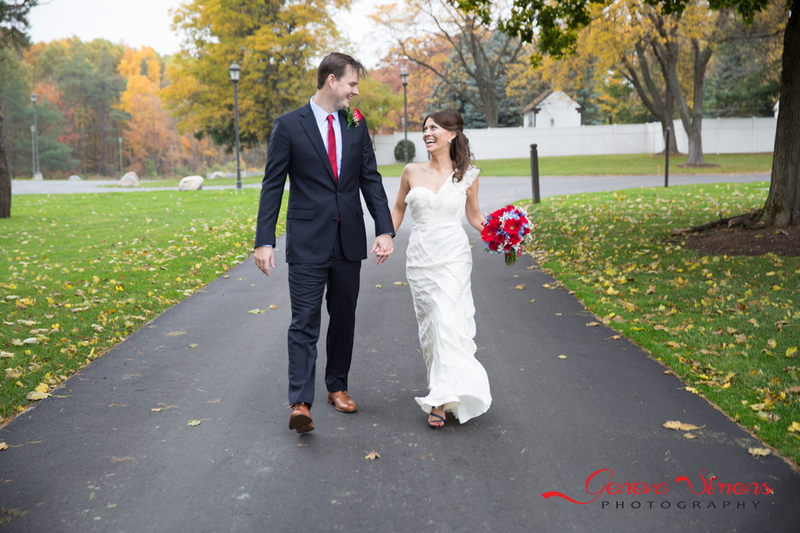 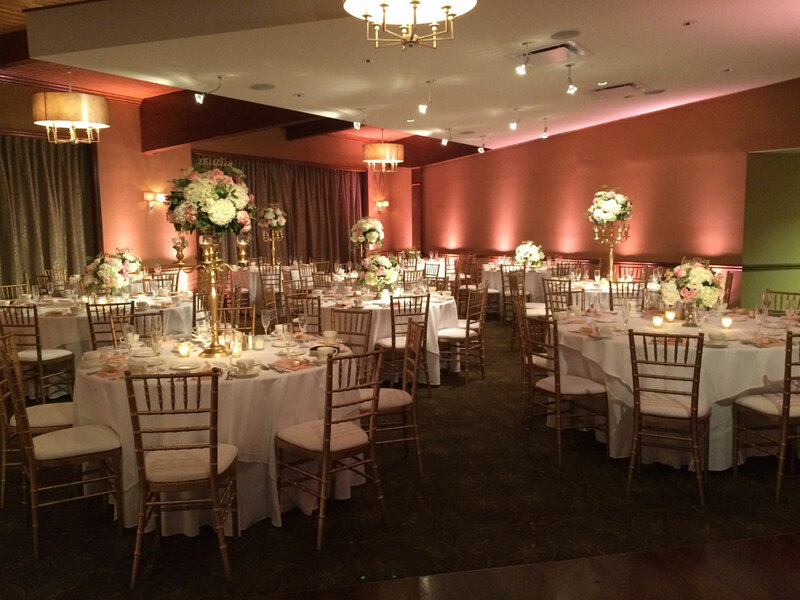 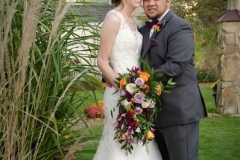 Watch the video below to see a beautiful wedding at Glen Oaks Country Club! 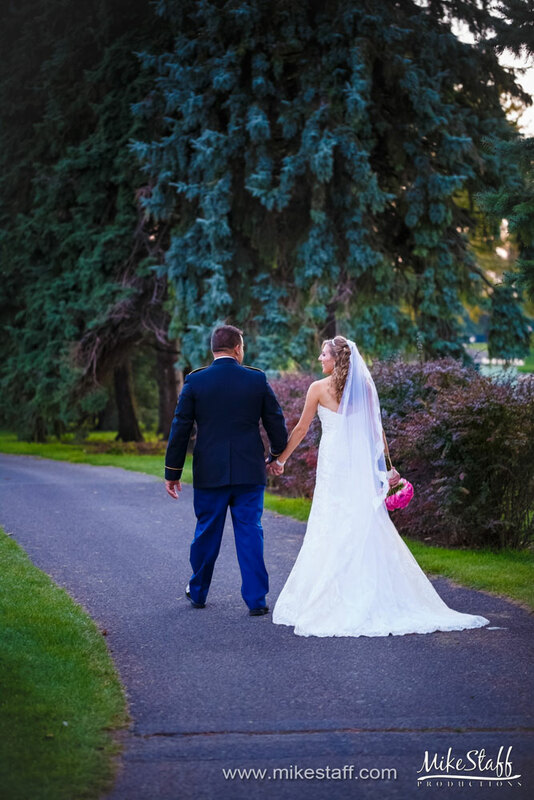 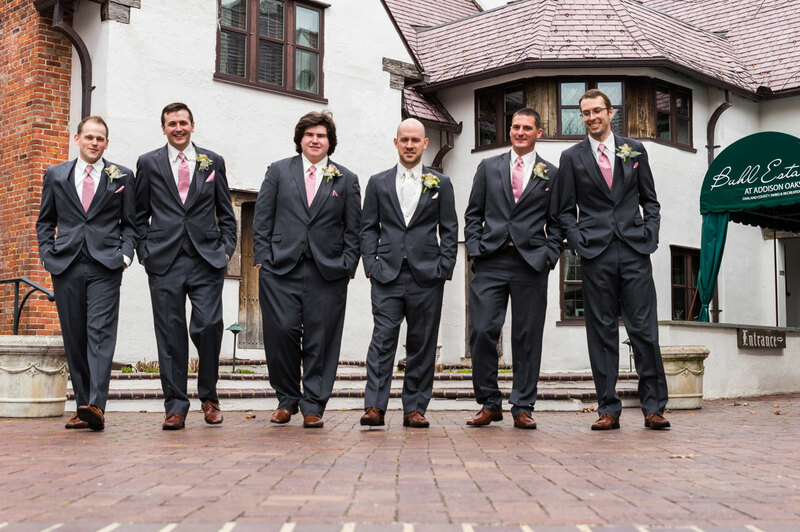 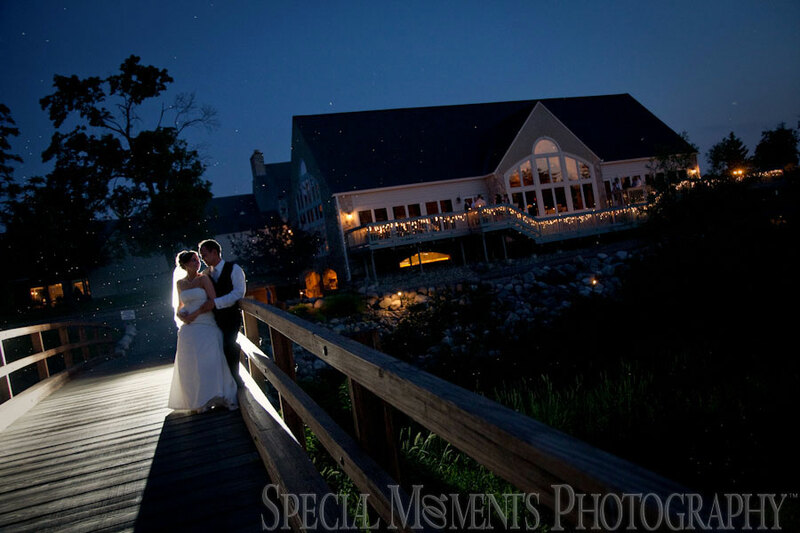 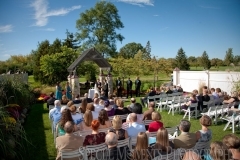 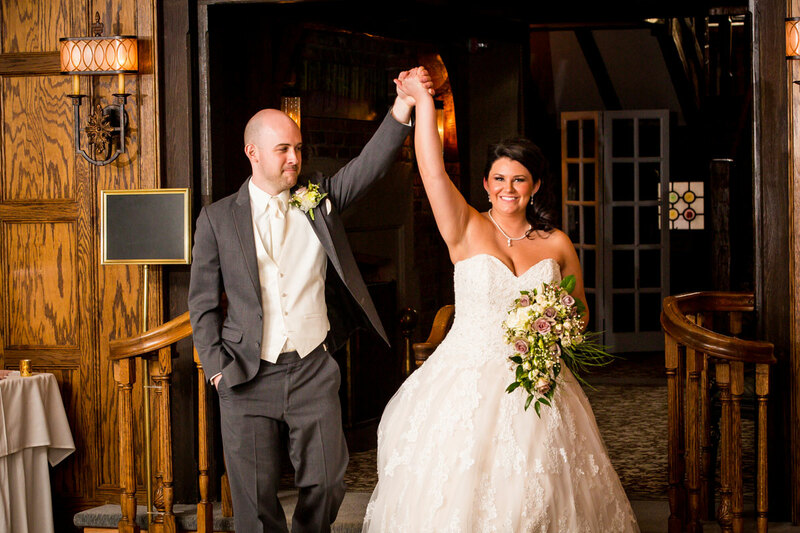 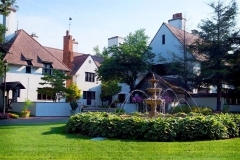 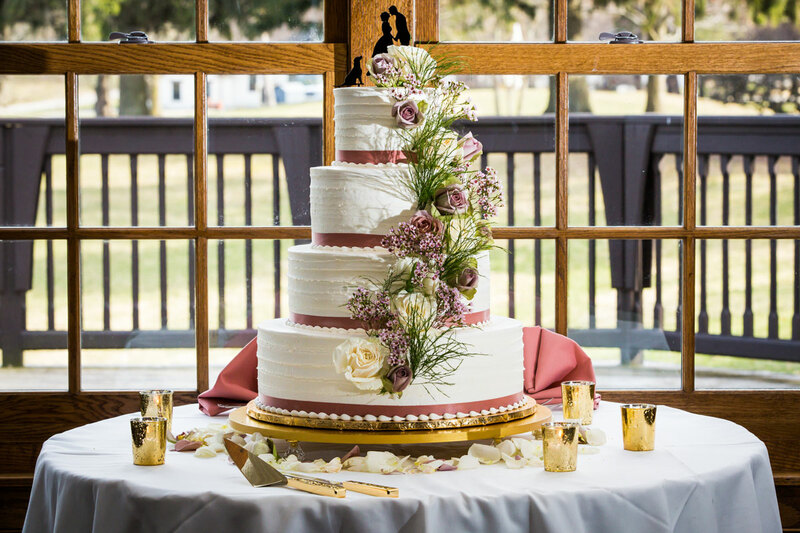 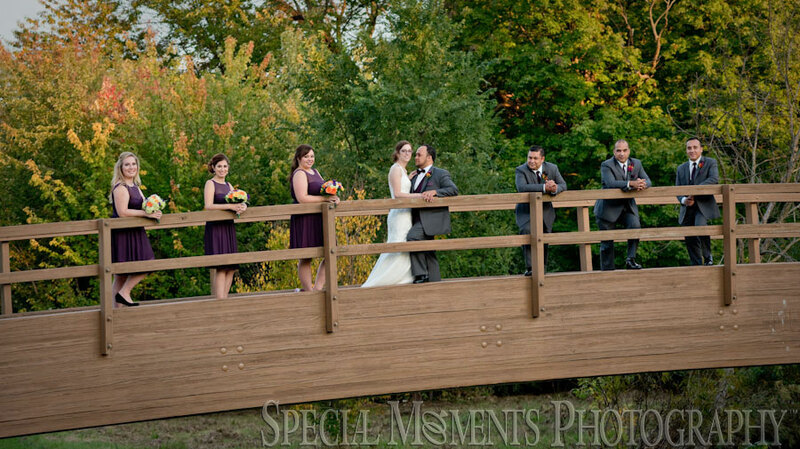 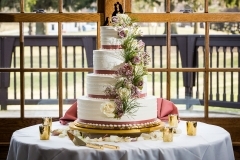 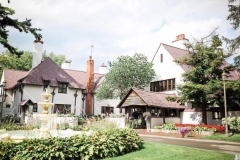 Your big day at Glen Oaks C.C will mix elegant Michigan history with peaceful natural views. 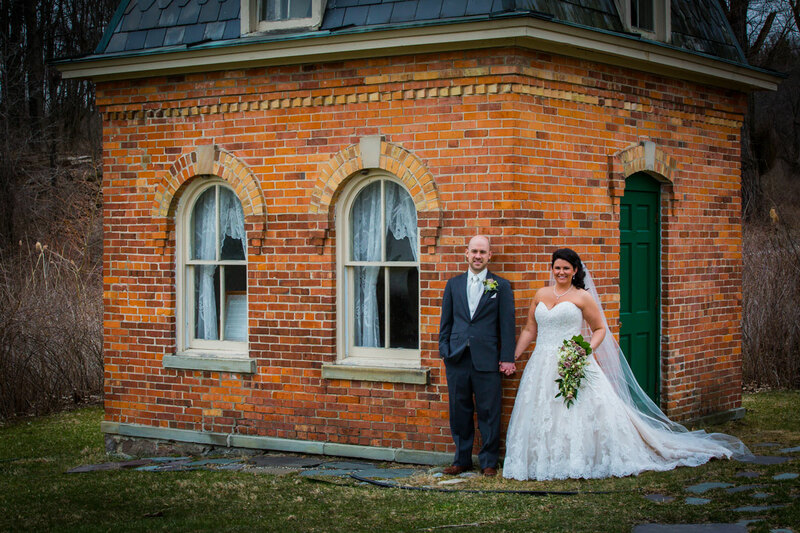 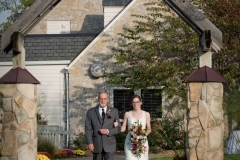 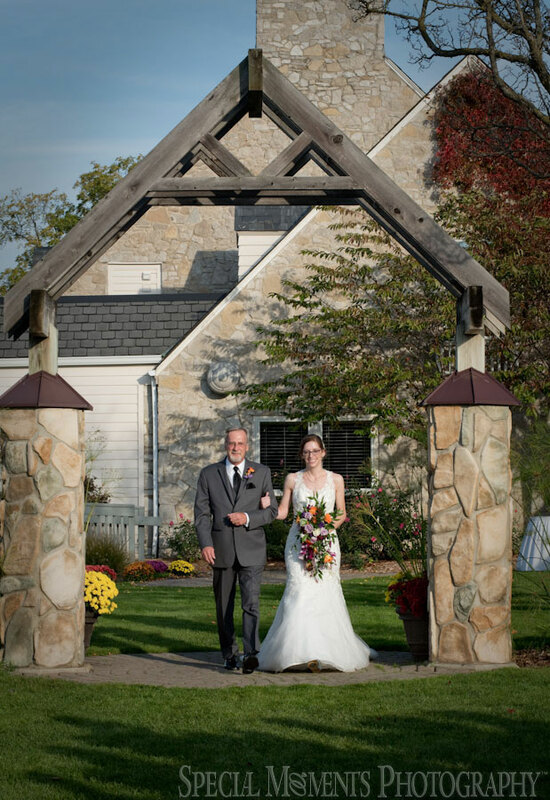 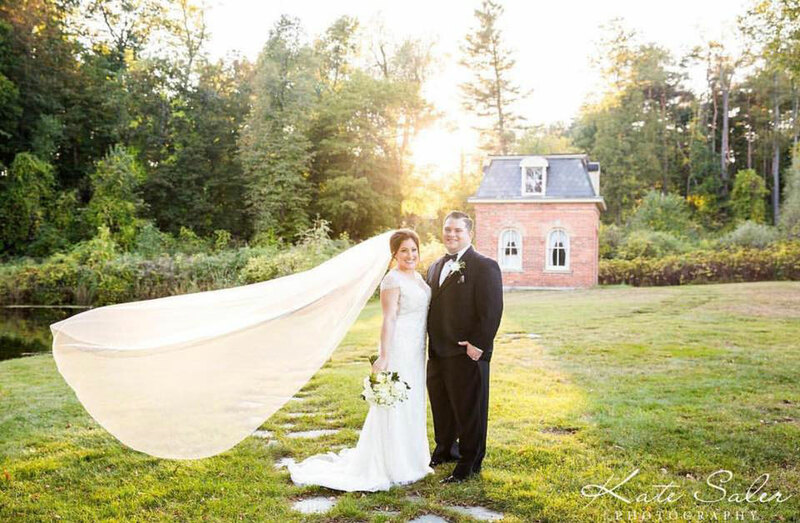 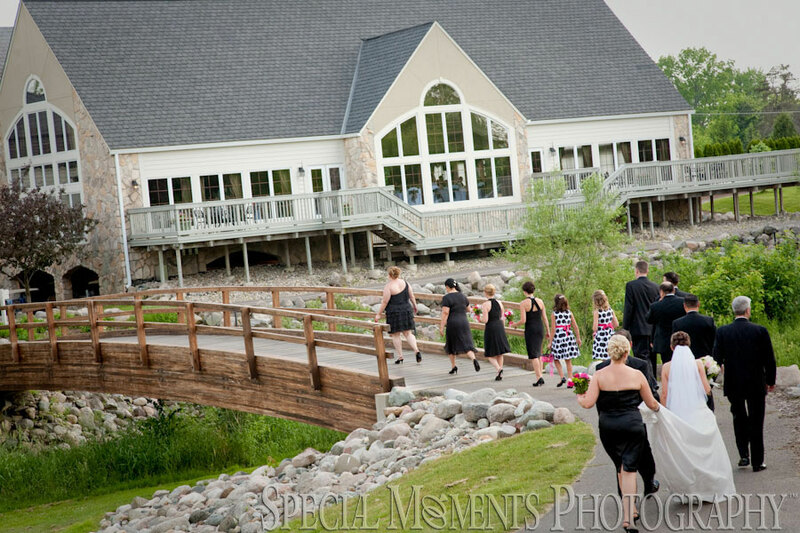 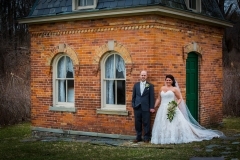 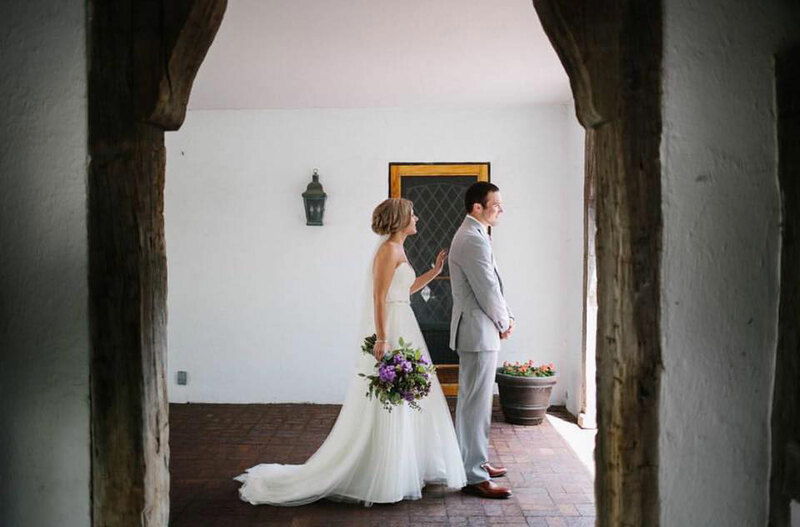 Outdoor weddings here are held in the shadow of the English-style stone clubhouse, which is a designated Michigan Historical Building, while the many rolling green hills of the golf course serve as rustic backdrops. 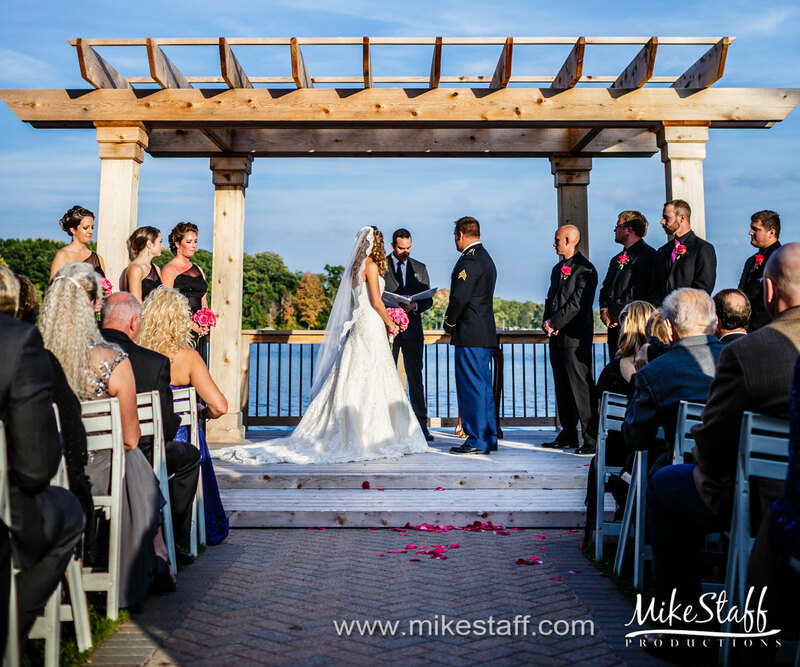 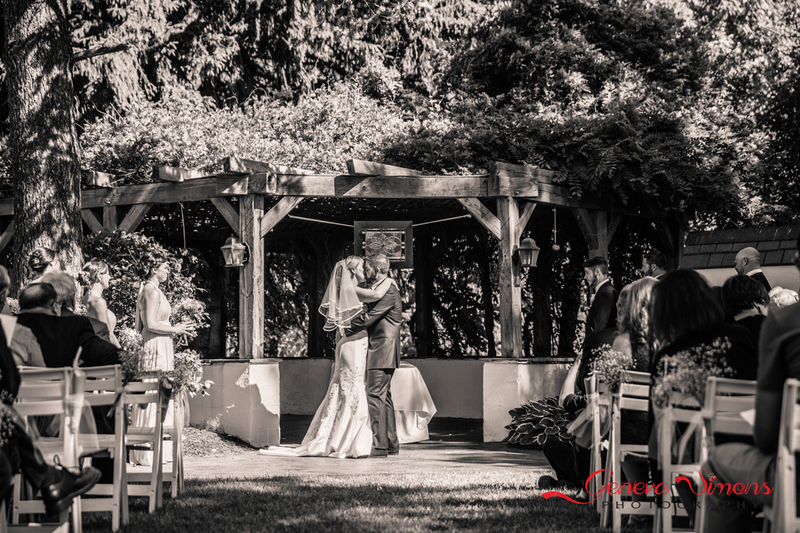 Exchange vows in front of the elegant wooden gazebo or in front of the stone-tile pillars before heading indoors to a banquet room for your wedding reception. 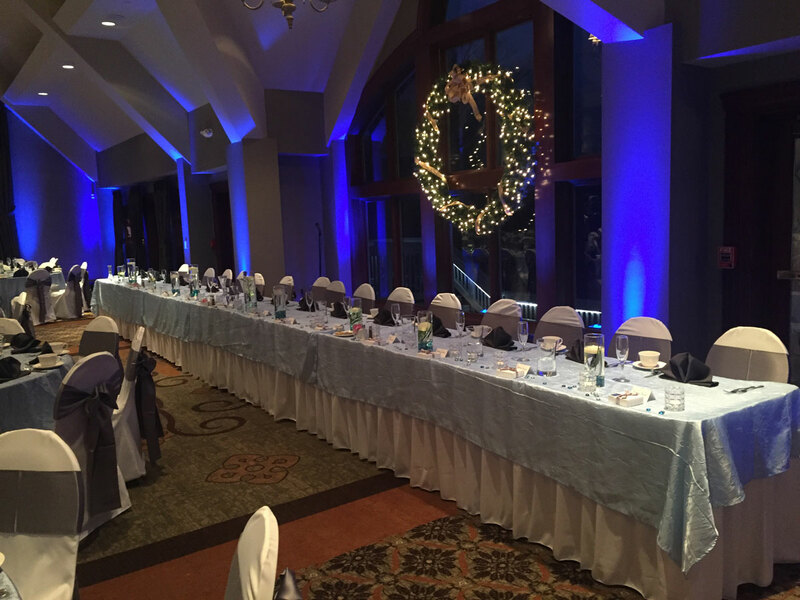 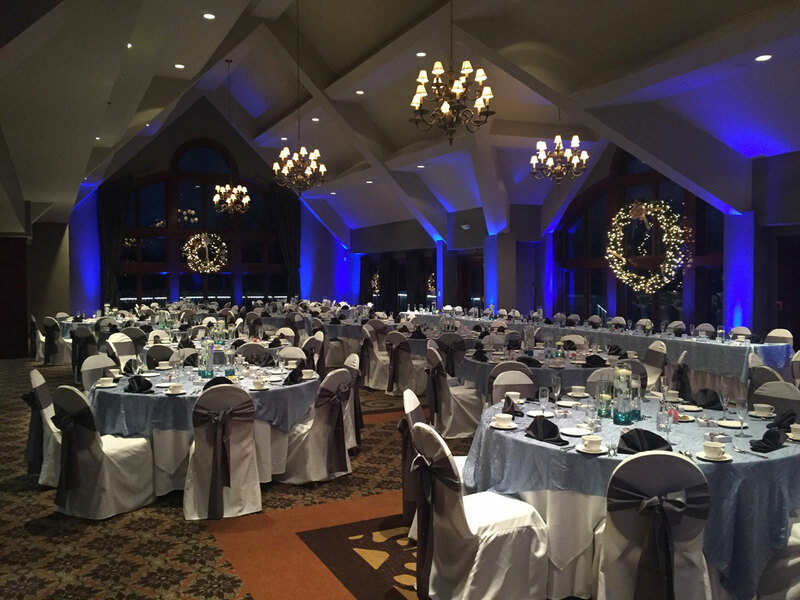 Host up to 400 guests at this Farmington, Michigan space. 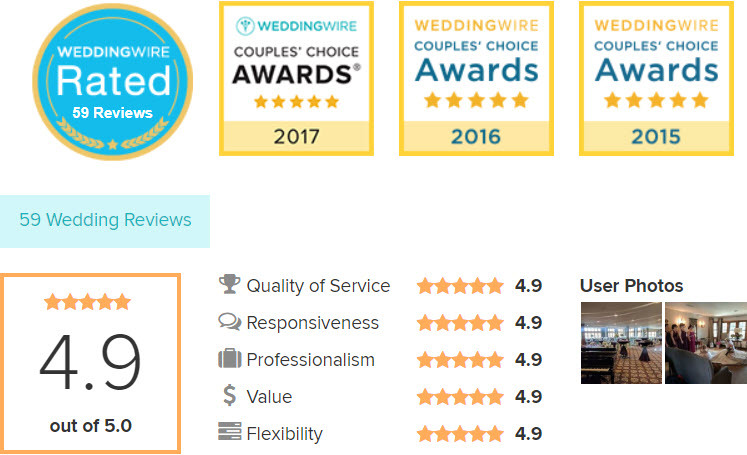 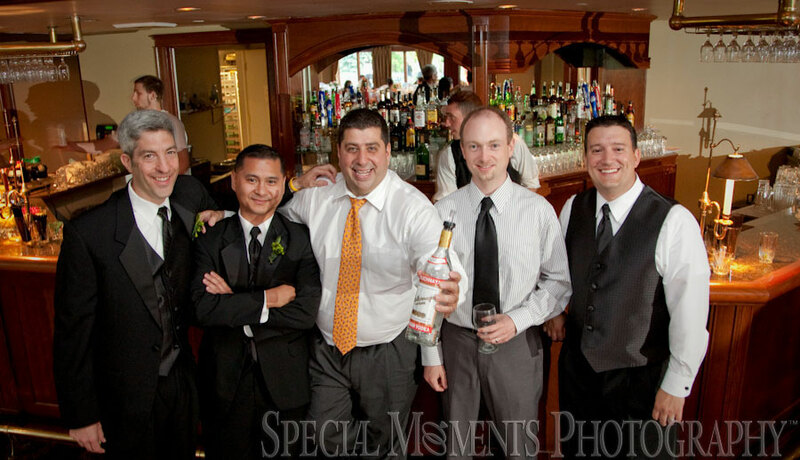 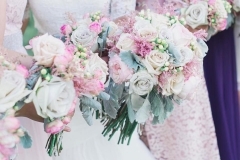 Click Here to read our excellent reviews on WeddingWire! 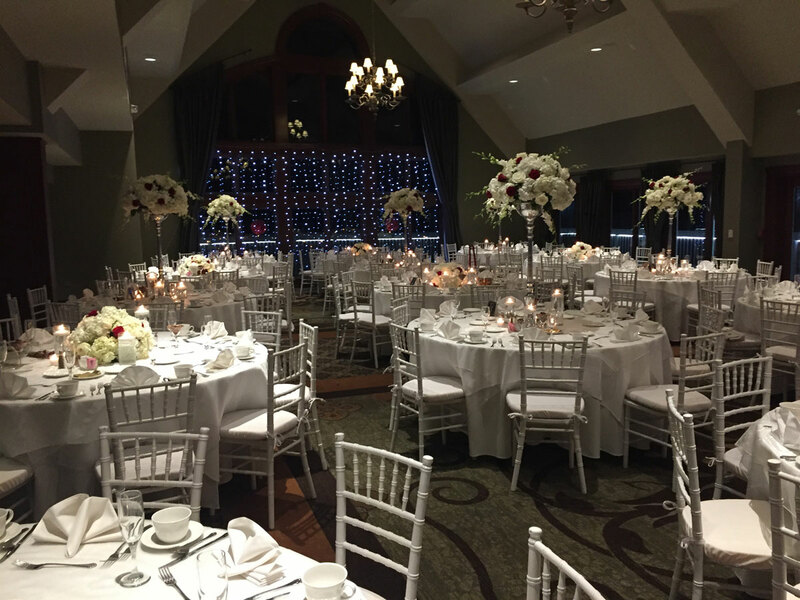 Call (248) 693-8305 or e-mail salesao@oakmanagement.com to inquire about hosting a wedding at Glen Oaks in Farmington, Michigan. 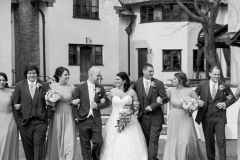 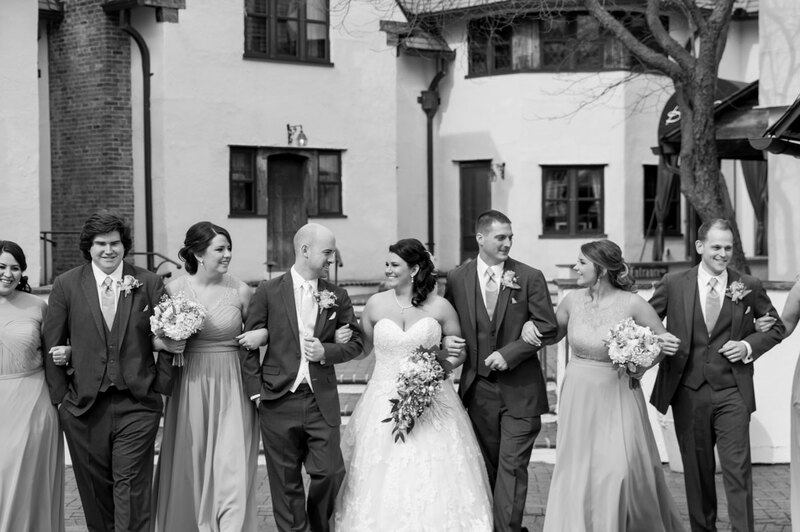 Addison Oaks – Buhl Estate is a historic wedding venue located in Leonard, Michigan that will give you a day to remember at a place that you will never forget. 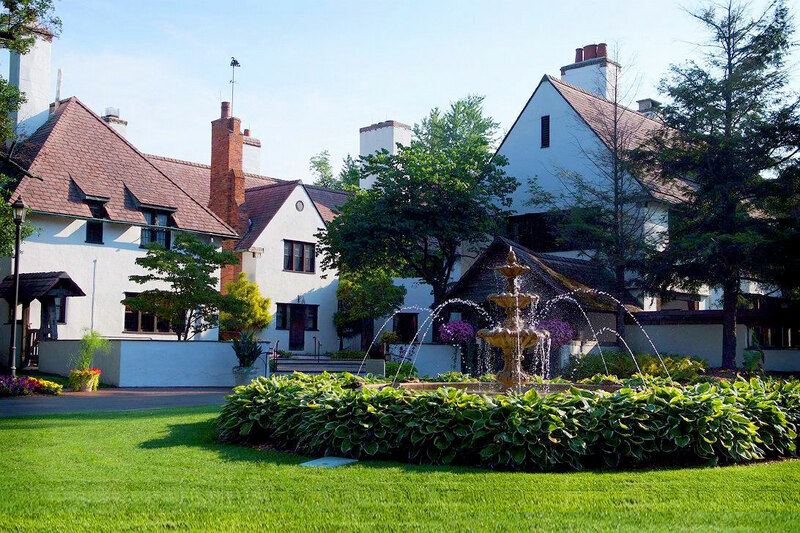 This pristine English Tudor-style estate is surrounded by dramatic willows and a formal flower garden. 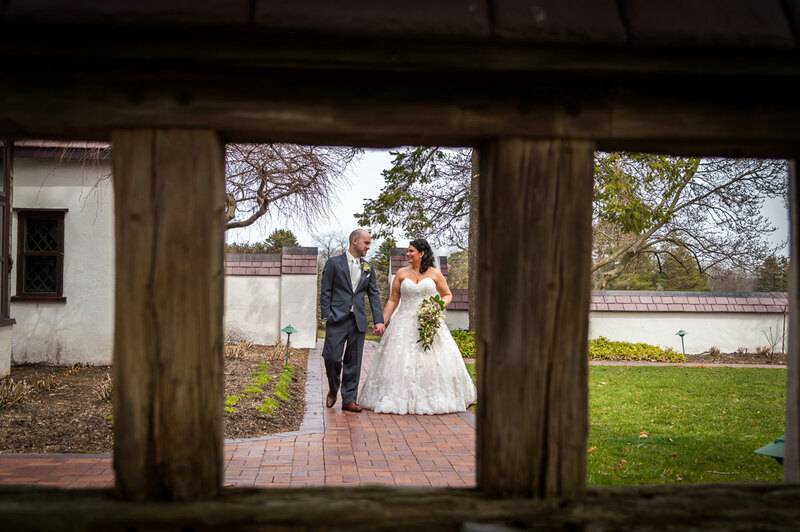 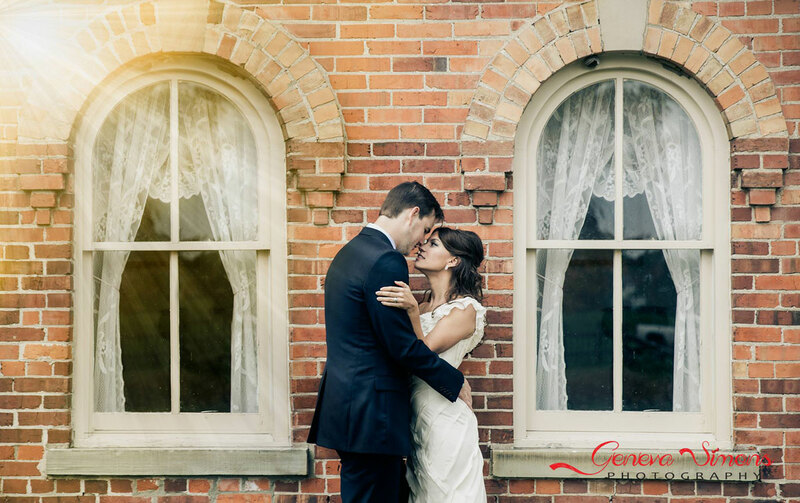 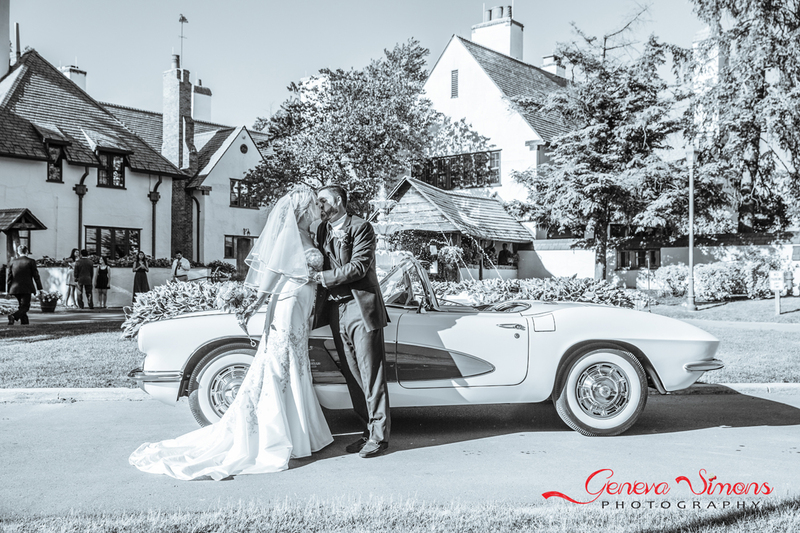 With over a 100 years of rich history, this distinctive and elegant venue will offer a stunning backdrop for your special day. 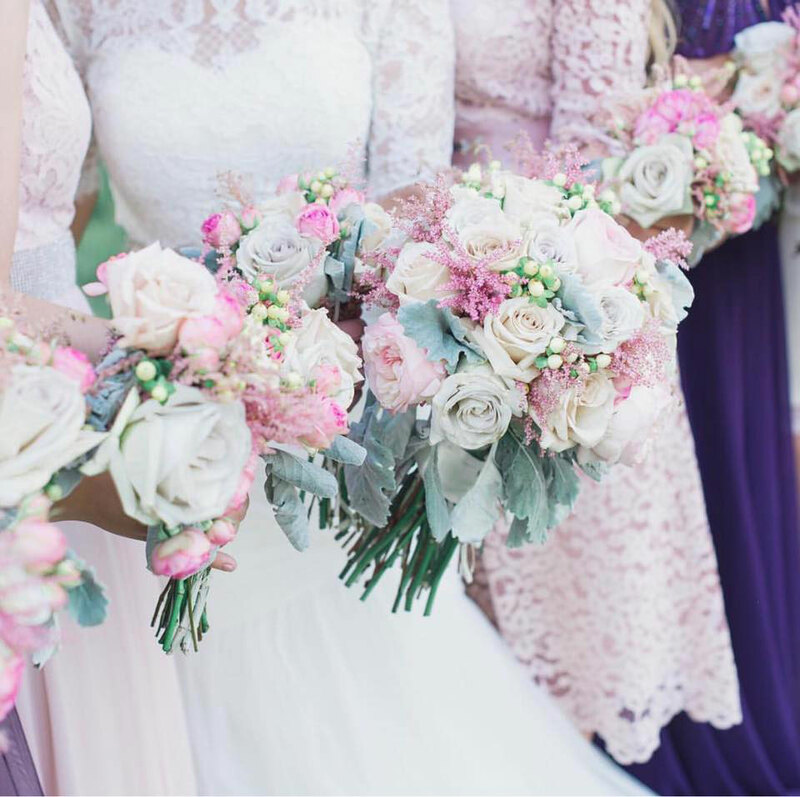 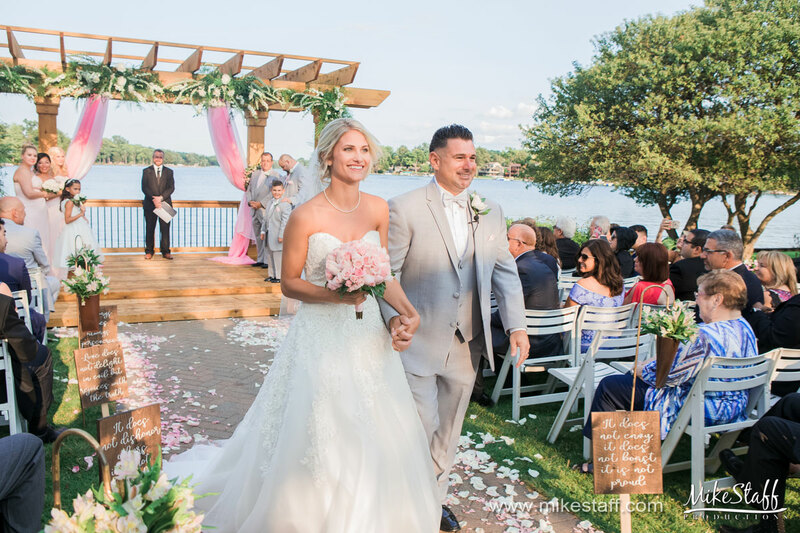 Addison Oaks is a picturesque location for a wedding party of any size, offering 750 acres of woodlands and lakes that provide breathtaking views. 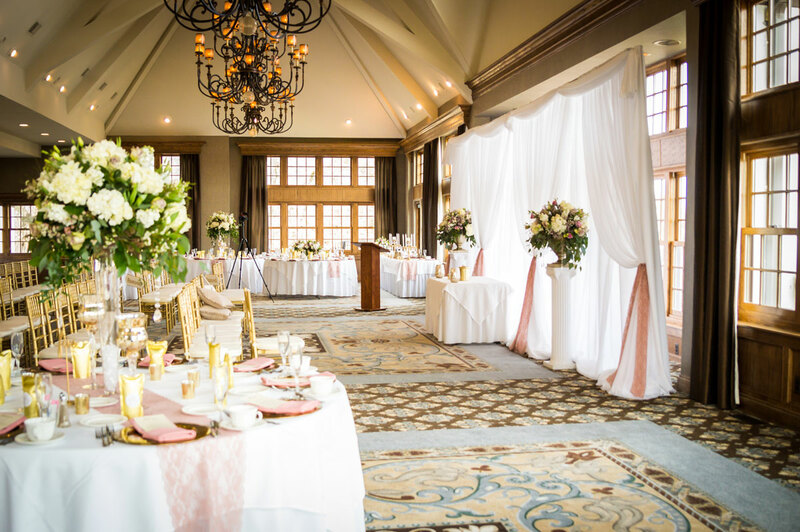 They have a banquet room that is surrounded by an outdoor deck which can accommodate up to 500 people for a cocktail hour and reception. 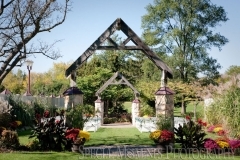 They also have a garden room for more intimate gatherings and an outdoor wedding garden for a unique ceremony. 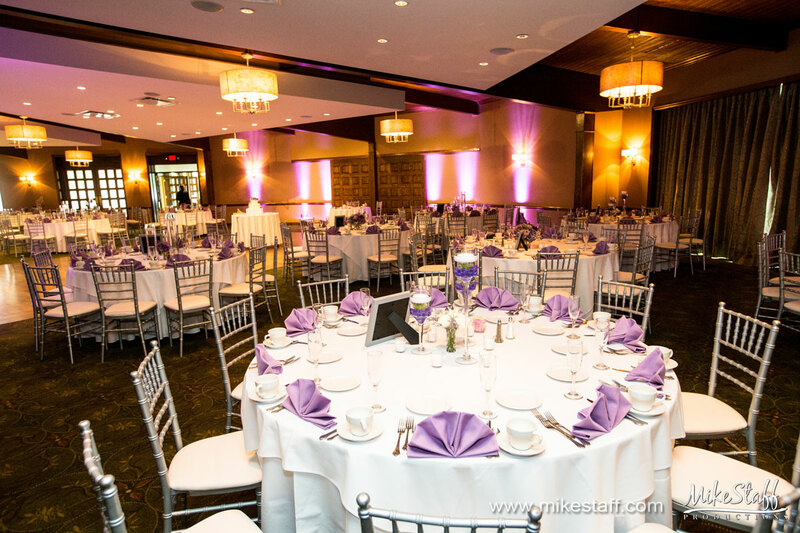 Whether you are hosting a large or small affair, this venue will offer a lavish setting for your once-in-a-lifetime event. 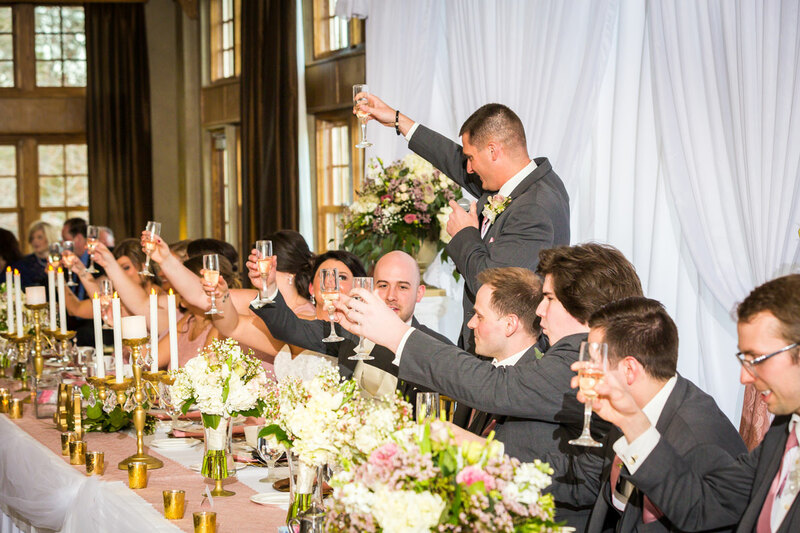 Addison Oaks – Buhl Estate is perfect for all of your wedding celebrations, whether it be a bridal shower, rehearsal dinner or reception. 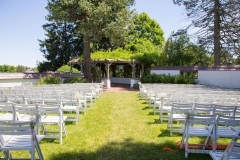 They are run by Oak Management, a company that owns a multitude of venues and offers their own separate services so that each unique facility runs smoothly. 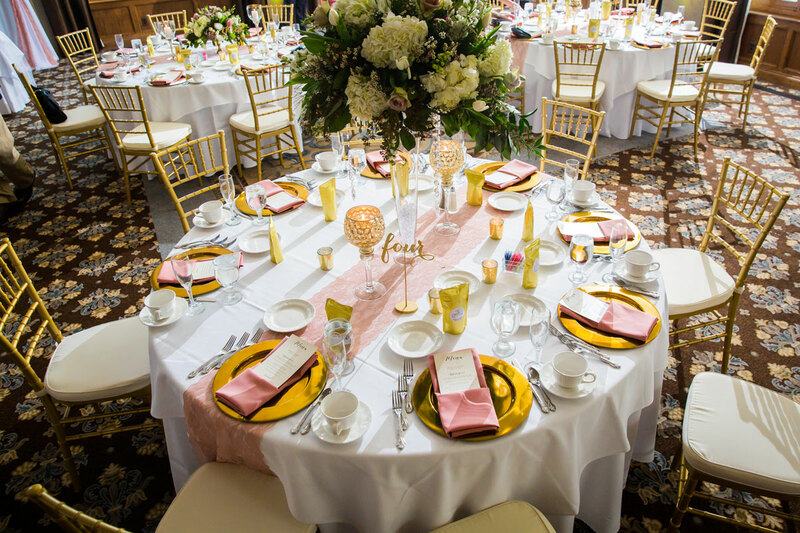 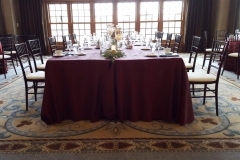 Their attentive staff will work with you to make your planning experience as enjoyable as can be and offer rentals such as chairs, covers and tables. 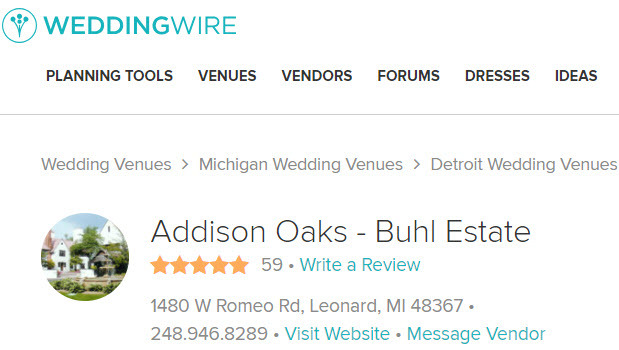 Addison Oaks – Buhl Estate is a recipient of 3 Wedding Wire Couple’s Choice Awards and 2 Bride’s Choice Awards as well as well as maintaining excellent ratings, click here to read them! 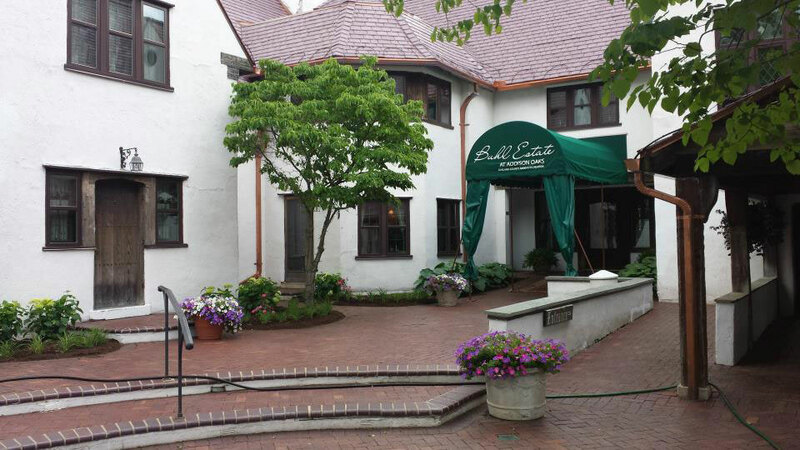 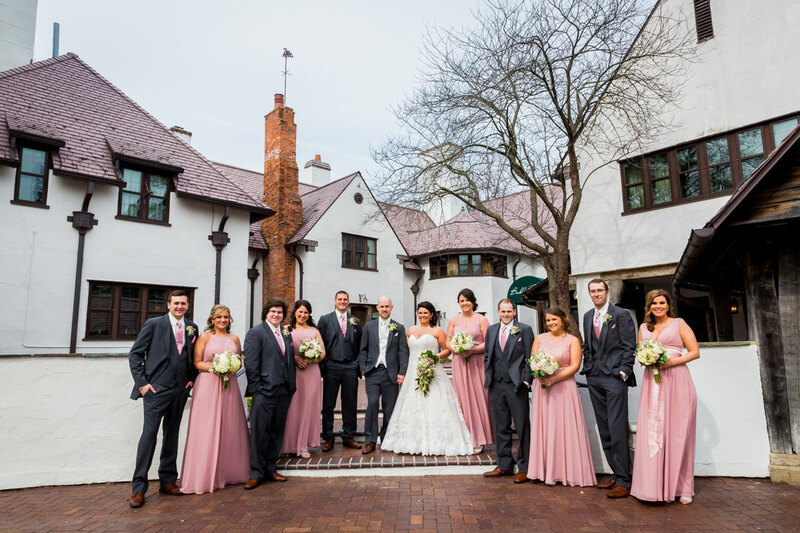 Call (248) 693-8305 or e-mail salesao@oakmanagement.com to inquire about Addison Oaks – Buhl Estate as your wedding venue. 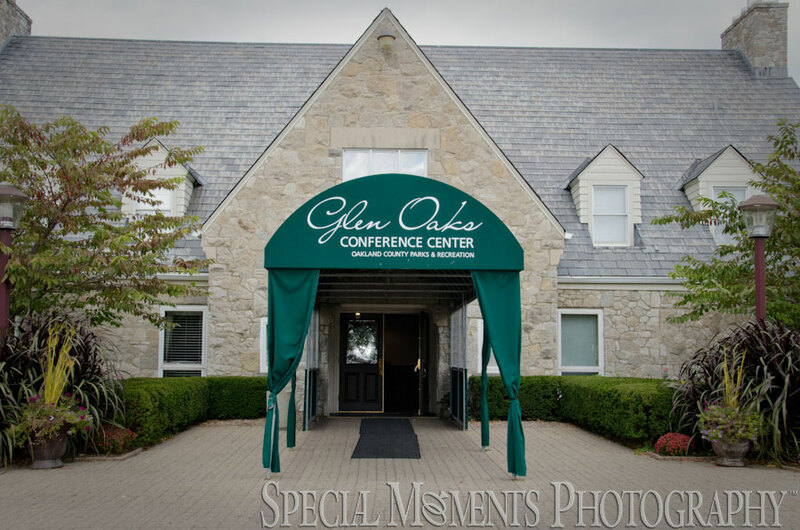 Glen Oaks Wedding Venue in Farmington Hills Michigan provides Oakland County with a premier setting for weddings and events. 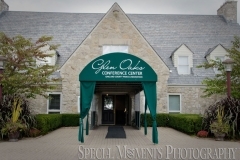 Follow Glen Oaks on Facebook! 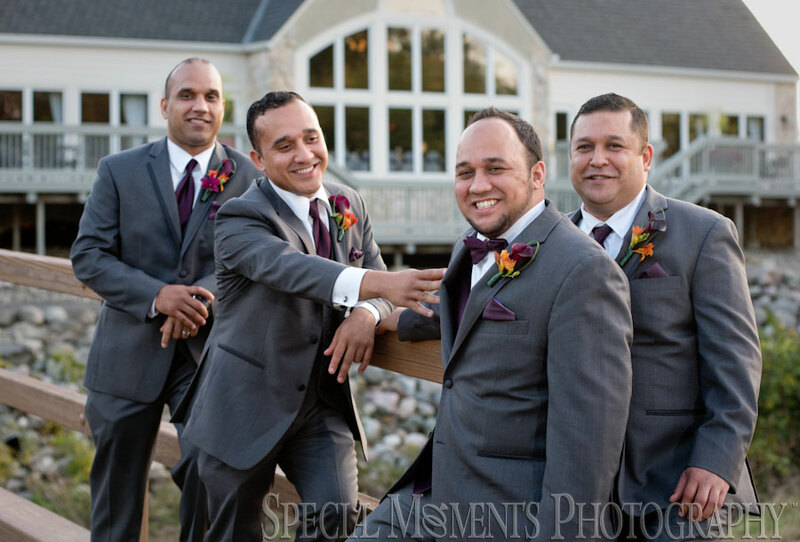 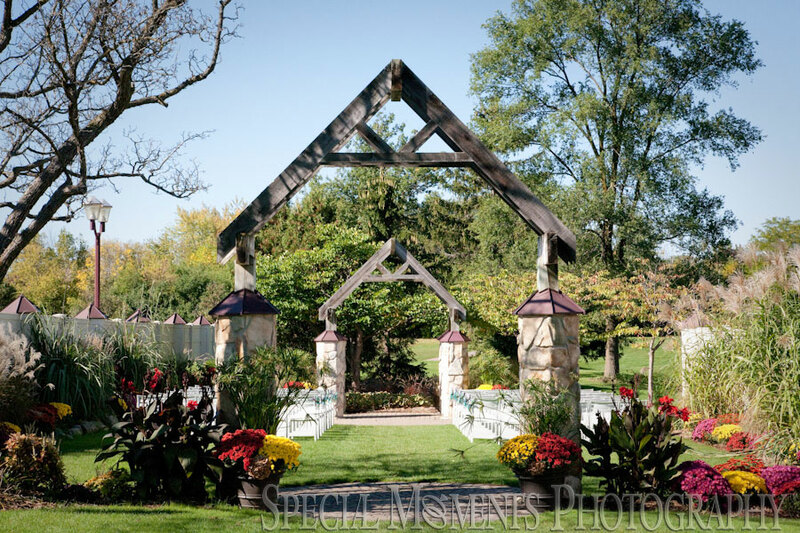 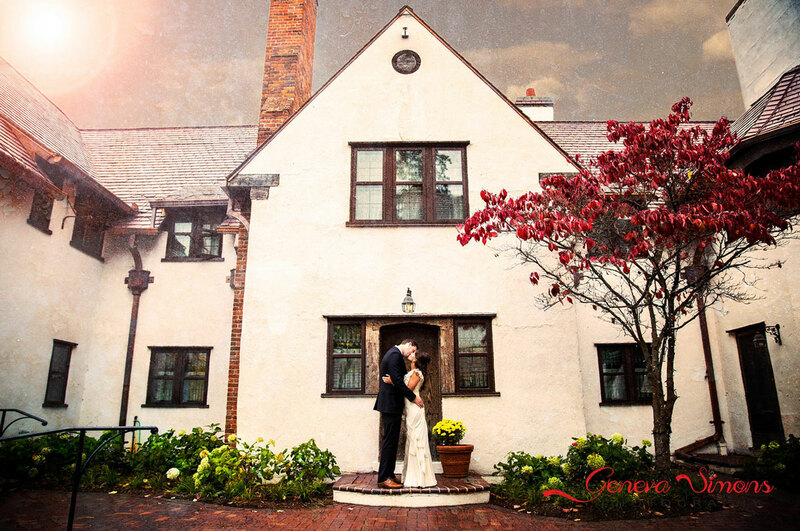 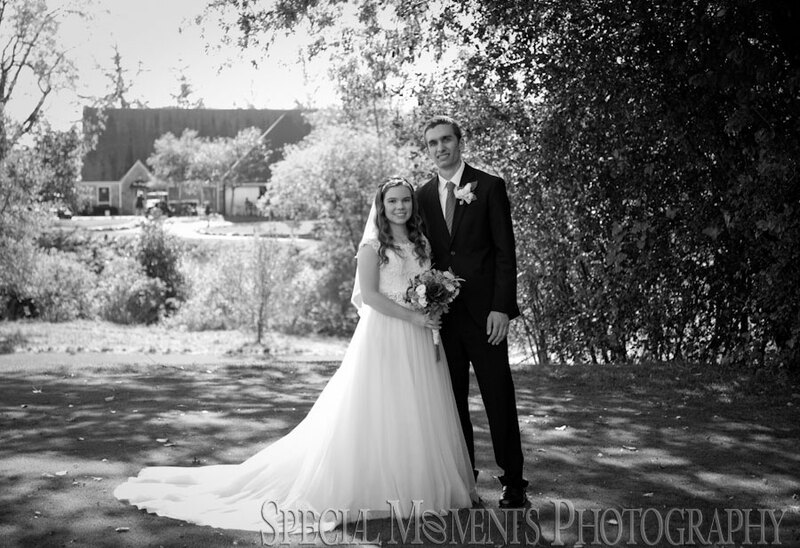 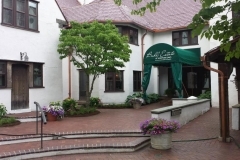 Addison Oaks Buhl Estate Wedding Venue – Premier Wedding Venue in Oakland County Michigan. 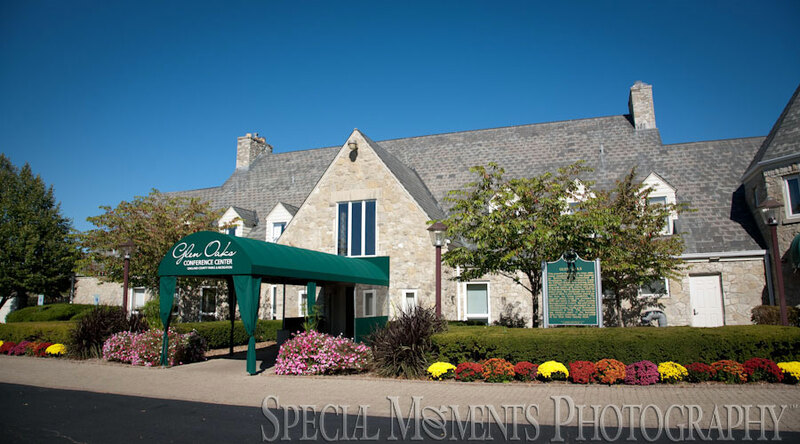 Addison Oaks Buhl Estate located just north of Rochester Michigan, Rochester Hills, and Oakland Township has a rich history dating back more than 100 years. Its elegant and distinctive English Tudor-style manor home is set amidst dramatic willows and surrounded by a formal flower garden. 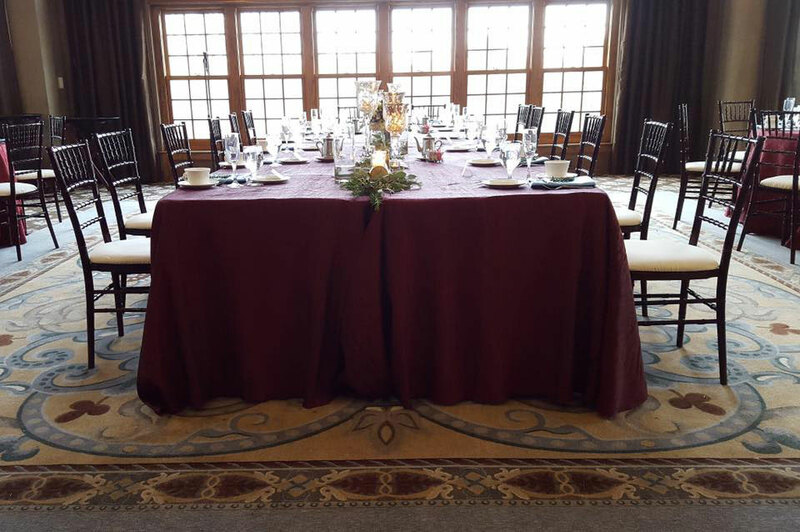 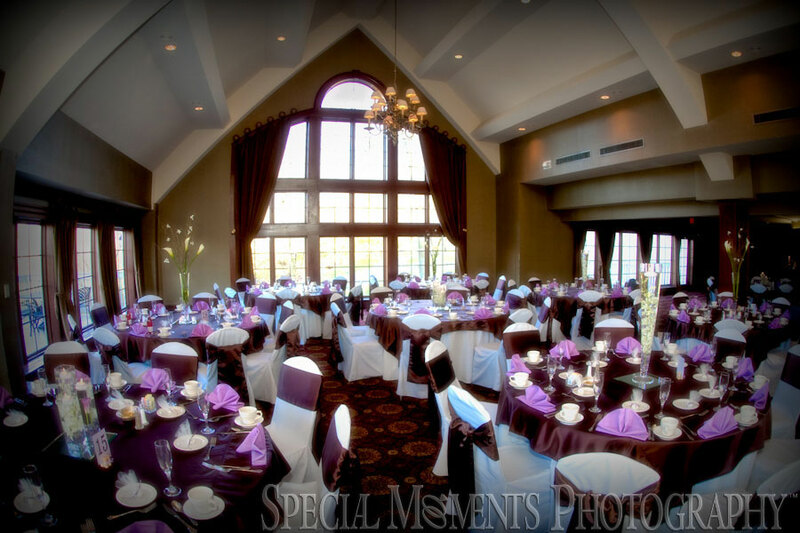 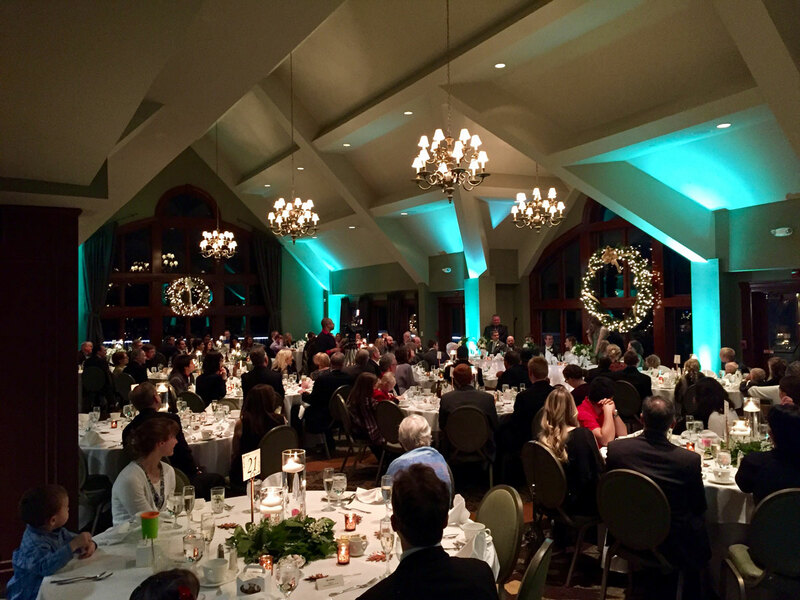 It’s the picture-perfect location for any special occasion; whether a small intimate gathering in the garden room with its stone fireplace; or a lavish wedding, banquet, or reception in the banquet room overlooking one of many spring-fed ponds. Follow Oak Management on Facebook!